Written by Owen Dunne and performed by the Ranch Road Players. 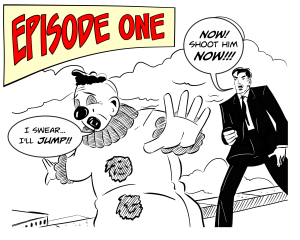 Detective Banion and Junior Officer Gunderson race to the scene when a clown threatens to jump from the roof of the twenty story Brickel Building! Will they arrive in time? 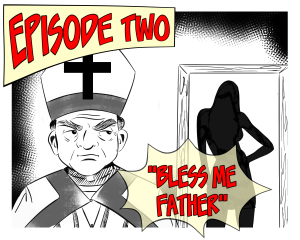 Find out in this premiere episode of BANION! 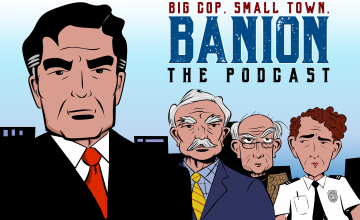 Featuring Detective Banion, Junior Officer Toby Gunderson, Police Chief O’Houlihan, Dr. Oskar Finch, Eddie Fontaine (Clowny), Ray Darymple.